Kylie is used to being made up — thanks to her life of modeling and appearances — but she says she never gets tired of makeup. “I’ve always loved doing my makeup and doing my friends’ makeup,” she told Yahoo! Shine. “I like Lancome foundation, and I like the company Cover FX. I’m pretty obsessed with all of MAC’s matte lipsticks. The 16-year-old is still in high school, but now she and Kendall are home schooled. The biggest thing she misses about a regular teen life? “I miss cheer,” she told HuffPo. Kylie’s favorite fashion trend? “I love leather pants. I’m obsessed with leather right now,” she told Glamour earlier this year. 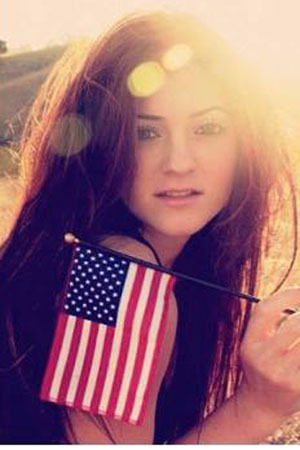 The Fourth of July is one of Kylie’s favorite holidays — and 2013 was no exception. “Amazing fourth. Couldn’t be more thankful for the people around me x,” she tweeted. Kylie’s modeling days are numbered, she says. “I think it’s really cool, but that’s definitely more Kendall’s thing and not something I want to pursue,” she told Shine. Kylie is rumored to be dating both Jaden Smith and Lil Twist. However, she says everything is not what it seems. “Media always making it seem like I’m dating everyone I’m seen with.. Makes no sense to me. Don’t listen to everything you see, people,” she tweeted in July. Kylie says her older sisters, including Kim Kardashian, are her biggest mentors. “I just think growing up, I’ve had a lot of advice from my sisters. I don’t necessarily think I get advice; I just think looking at other people for inspiration has had the biggest impact,” she told The Huffington Post. Kylie says her fashion inspirations are Mary-Kate and Ashley Olsen and Rihanna. 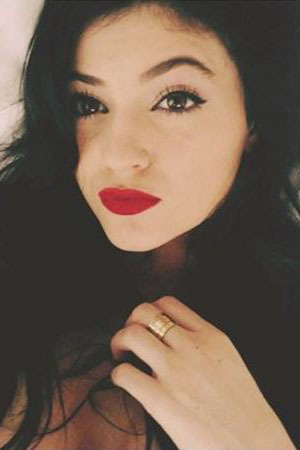 Kylie and sister Kendall Jenner are budding designers with a PacSun clothing line and Nordstrom jewelry line. They’re even getting Kanye West to help. “He was like, ‘Your clothing line — I can help you and design. We can do this!” Kylie told Fashionista.com of West. What Kylie doesn’t miss about high school?